Spread Pick: FC Barcelona with handicap +6.5 at 1.80 Over/Under: Under 161.0 1.90 Bet Now! This one is a big game in terms of the Euroleague and Group E in the Top 16 but in Spain, it is even bigger than that. This is the game that people call El Clasico and it doesn’t matter what the sport is, when Real Madrid and Barcelona meet, there is an awful lot at stake. The side from the Spanish capital welcome the team from Catalonia and with the passion for independence in Catalonia running higher than ever before, this is a game that means an awful lot to the fans. 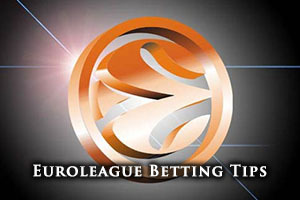 Then again, it matters a lot to people all around the world and in games like this, sometimes all of the Euroleague basketball betting tips in the world can’t prepare you for what goes on when these teams collide. These two teams met in the Spanish league as recently as December but with respect to the Euroleague, the semi-final from last season is fresh in the minds for many fans. Real Madrid wiped the floor with their rivals, cruising to a 62-100 win in Milan. Madrid weren’t able to take the title last campaign, but the semi-final win was some comfort. With a 12-3 record in the Euroleague this season, based on an 8-2 record in the regular season and a 4-1 record in the Top 16, Real Madrid are doing pretty well so far this campaign. They have bagged an average of 86.2 points per game and they have a number of players who have been on fire. Felipe Reyes is a massive player for Madrid and he has served up an average of 12 points per game and an average of 6.6 rebounds per game. Sergio Rodriguez has offered up an average of 10.5 points per game and an average of 6.1 assists per game. That dup would be enough for most teams but with Rudy Fernandez offering up an average of 11 points per game and an average of 3.3 assist per game, this is a Real Madrid side that can do the damage at any point in the match. Given that they are taking on domestic opponents, their 15-4 domestic record will give Madrid further confidence. They may sit in second place in the league but in their last outing, they crushed Gipuzkpoa 86-70 in Madrid. This is a game that Barcelona are desperate to win and the players know that they can be heroes if they win in Madrid. Barca have bagged an average of 84 points in the Euroleague so far this season and like Madrid, they hold a 12-3 record so far. There is a difference though in that Barca had a 9-1 record in their regular season and currently hold a 3-2 record in the Euroleague. Ante Tomic has been a star man, with the Croatian forward offering an average of 11.3 points per game and an average of 7.5 rebounds per game. Marcelinho Huertas has also been on top form, with the Brazilian guard serving up an average of 10.8 points per game. Justin Doellman has also helped the cause of the Catalan club, providing an average of 10.3 points per game and an average of 4.9 rebounds per game. In the Spanish league, Barcelona hold a 13-6 record and sit in fifth place in the table. Mind you, in their last game, they delivered a devastating 101-53 win over La Bruixa d’Or. When it comes to placing a bet on this game, placing a bet on FC Barcelona with a handicap of +6.5, at odds of 1.80, is likely to pay off in what could well be a close one. If you are looking for the Over/Under market, get on the Under 161.0 bet, and both of these bets are available from Bet365. Bet Now!